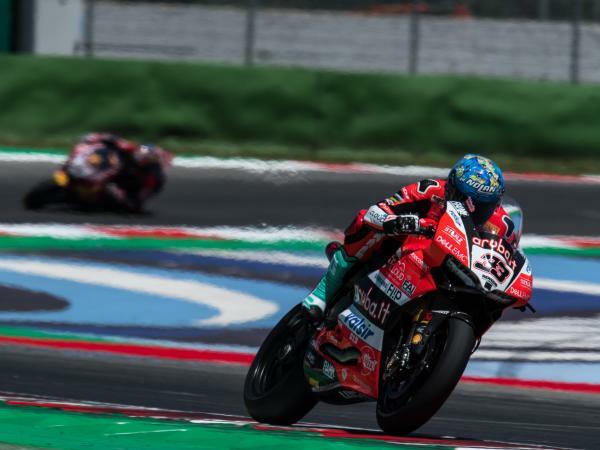 The Aruba.it Racing - Ducati team took yet another podium in Race 1 at Misano, home of the ninth round of the 2018 WorldSBK Championship, thanks to a superb comeback mounted by Chaz Davies to clinch second place. The Welshman, seventh in Superpole, immediately took fourth position with a blistering start off the blocks, then gradually recovered ground. 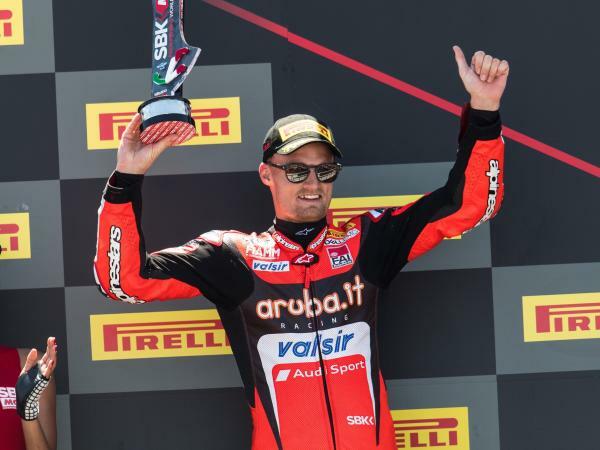 After taking second position with seven laps to go, Davies defended it successfully until the checkered flag, taking his third consecutive podium. Marco Melandri, who couldn't take part in FP4 due to a technical problem, unfortunately faced a more difficult race. The Italian gave his all, fighting in the second group to finish in seventh position. Michael Ruben Rinaldi, with the Aruba.it Racing - Junior Team, finished in 17th position after pitting in to try different tires. 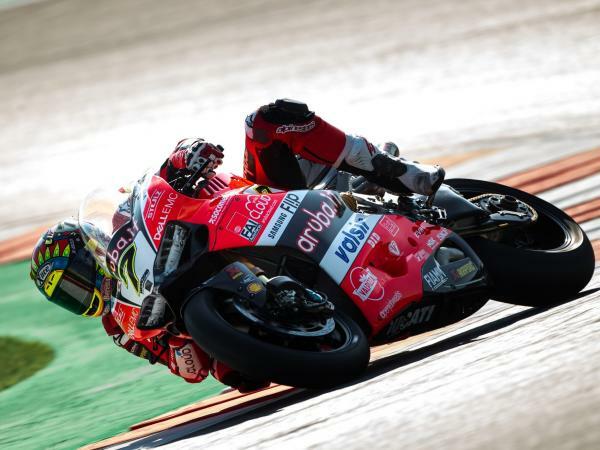 The Aruba.it Racing - Ducati team and the Aruba.it Racing - Junior Team will resume action on Sunday, July 8th, at 09:35 local time (CET) for a warm-up session ahead of Race 2, which is scheduled to start at 13:00 local time. "We have to be happy with this result, it wasn't easy coming back from 7th position on the grid. I feel like we got the best out of the package and myself today. The Panigale R was working well, we need just to make a few more steps forward to win, so overall it's been a positive day. During the race I really understood the bike and got a clear idea of what we need to do to improve. We'll try to make the most of the data collected and come back even stronger for Race 2. We'll start from third row again, but I'm kind of used to it and today we got a blistering start, so hopefully we'll be able to repeat that." "Since we couldn't keep working on the setup yesterday afternoon due to the rain, we knew FP4 would have been crucial, especially to improve the feeling with the new front tire. However, a technical problem kept us in the pits. This forced us to race without the usual confidence and, given also an ordinary start, it was a tough race out there today. Still, we managed to collect useful information, which we'll use to make more changes ahead of Race 2." "This round, we struggled a bit more than we expected. Also, missing FP3 didn't make it easier since we had so many tires to try. During the race I lost grip on the front after a few laps. 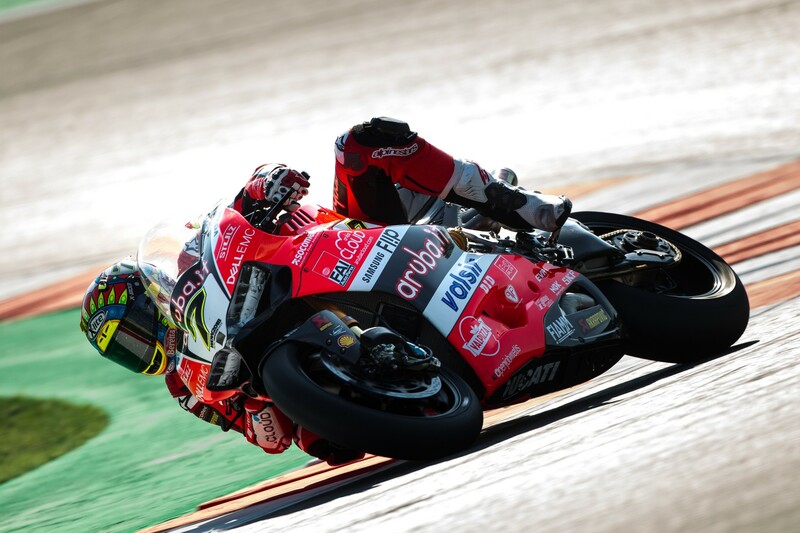 So I decided to pit in and get back out with a different tire to make some comparisons and I regained confidence, so I'm sure we'll be able to bounce back tomorrow." "Despite the fact that the erratic weather played a role in free-practice, we showed our competitiveness once again during the race. Chaz mounted a brilliant comeback to claim another important podium, while Marco showed resilience but was penalized by the issues encountered in FP4. Now we'll analyze the data to further improve ahead of Race 2."